Traditionally, descriptive data on cancers occurring in people of all ages combined have been presented with the diagnoses categorized according to the International Classification of Diseases (ICD), in which cancers other than leukemias, lymphomas, Kaposi’s sarcoma, cutaneous melanoma, and mesothelioma are classified purely on the basis of primary site. The malignant solid tumors of children are histologically very diverse and a substantial proportion consists of characteristic entities that are rarely seen in adults. 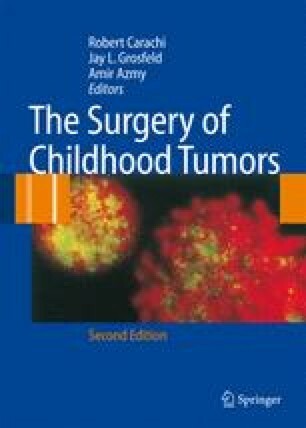 Therefore, it is appropriate to group childhood cancers in a way which more fully takes morphology into account, and standard classifications have been devised with the categories defined according to the codes for topography and morphology in the International Classification of Diseases for Oncology (ICD-O) [4, 25, 59]. The current scheme is the International Classification of Childhood Cancer, Third Edition (ICCC-3), based on the third edition of ICD-O .